Thermodrene XT is not just any fat burner. In addition to the slimming properties of one of the most powerful polyphenols found in nature (proanthocyanidins), Thermodrene XT uses the metabolism-increasing extracts yerba mate, caffeine and guarana. 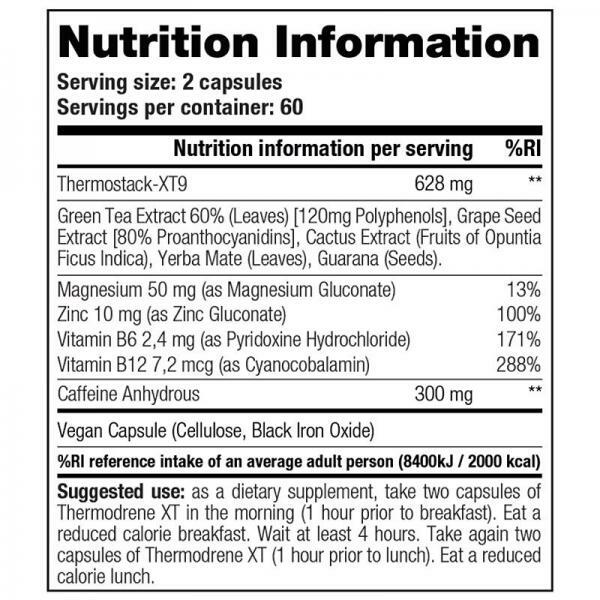 The product also features the anti-oxidant effect of green tea (EGCG and polyphenols) plus the appetite suppressant of a cactus extract. 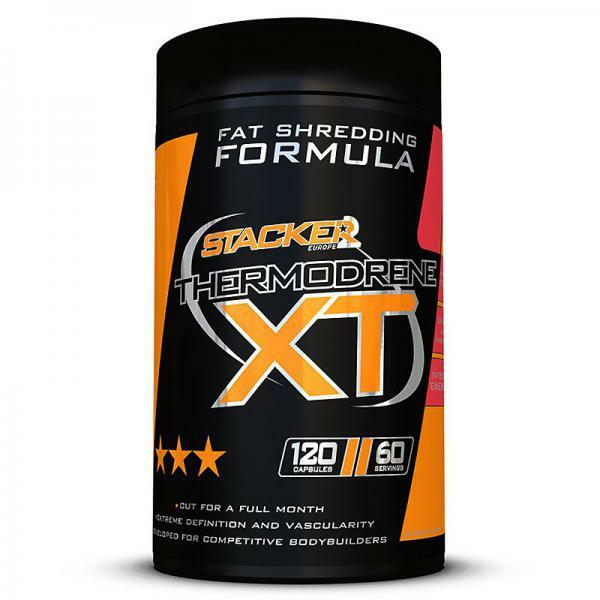 This stack of 6 synergistic, fat-burning ingredients makes Thermodrene XT one of the most powerful and thus also one the most effective Stackers ever. Stacker2 Europe Thermodrene XT is developed by and for bodybuilders. Free of ephedra, DMAA and steroids, but more powerful and effective than ever. Do you want rock-hard, lean muscle mass? A six-pack? No excess fat on your stomach or legs? Thermodrene XT is a vital component of the “cut phase” of bodybuilding! Thermodrene XT, the energy-rich, metabolism-increasing and muscle-mass-protecting formula that burns body fat and helps you attain the physical appearance and strength of a top bodybuilder. Take 2 capsules 2 times per day. Take the first dose in the morning and the second in the afternoon at around 3:00 PM. 1st serving: Increases the metabolism. You will notice that you become warmer and have more energy. 2nd serving: Take the second dose in the afternoon. This will increase your metabolism even more and help you lose excess water weight.